Separation anxiety is not a “rite of passage” and should not be accepted as “normal”. Those children that are repeatedly anxious on separation usually take longer to settle and are often the ones who find it harder to return after a short break. Early experience of separation anxiety can create long-standing problems as these children can struggle when moving to school, and later, on to secondary school, and into the world beyond. Some children will settle into a new environment without any issue at all and will take to it like a duck to water. Other children however, will find the new experience to be an ordeal which causes them great anxiety. It’s not just children that experience separation anxiety when they are separated from their parents for the first time, the same is true in reverse. Helping to manage the parents’ anxieties as well, will result in a better outcome for the child as children pick up on how their parents are feeling, and the atmosphere that surrounds them. Separation anxiety can be defined as being the “overwhelming sensation of fear and panic felt by a child at the departure of their primary attachment figure”. Social anxiety on the other hand, can be defined as being “the fear of social situations that involve interaction with other people”, even so far as “the fear and anxiety of being negatively judged and evaluated by other people”. It can be difficult to spot children with social anxiety as they often just appear to be shy but still able to form friendships. Children who are nervous or worried about everyday situations to the point that it makes them unhappy and impacts negatively on their experience definitely need to receive extra support, so it is important to be aware of these children. We look at the signs to watch out for later in this post. Understanding the importance of attachment in young children is key to empathising with the child, which in turn, will help support them as they settle into their new surroundings. Attachment is a term which describes an emotional tie to an object or another person. The need to form such attachments is instinctive rather than learned and begins soon after birth. By six weeks babies have a preference for certain faces or voices, and by three months babies show recognition and pleasure when seeing their parents and close family. By eight months, babies will turn away or cry when approached by an unfamiliar face as they are no longer accepting of people they do not know. Around the same time, babies start to show the first signs of anxiety when their parents leave. Strong separation anxiety would appear to peak at around 18 months of age. It’s difficult to miss the early signs of separation anxiety in children as the child will cry uncontrollably and often show signs of anger. Child psychologist John Bowlby noted that if left, children would eventually quieten and enter a ‘despair’ or withdrawal stage. This can wrongly be interpreted as acceptance but actually the child is distressed. Frequent complaining of feeling unwell. How Can the Setting Staff Help? Developing attachment within the setting is crucial for avoiding separation anxiety in children. If no attachment is formed, or if the attachment is not strong enough, the child will not feel confident and problems with anxiety will therefore occur. Parents need to be able to gradually distance themselves from the child to enable the key worker to form an attachment. The key worker also needs to ensure that they actively gain the child’s trust and confidence. It is recommended that children make several short visits to the setting prior to starting. During this time parents should try to hold back and let the key worker and setting staff play with the child. This helps the relationship with the key worker to grow and for the child to not associate the setting with having fun with their parent but rather with the staff. This attachment should be “tested” before the child starts at the setting. If the parent pops out of the room and the child immediately shows signs of distress then it is likely that they will struggle when they are left for longer periods of time. In the early days, the child will rely heavily on their key worker and so it is important for that member of staff to always be present. Most children will quickly form attachments with other members of staff, and with their peers, so over time this will become less of an issue. 1. Staff should always act in a calm and confident manner especially when dealing with anxious children (and/or parents). 2. Ensure the parent knows that the child’s (and indeed their own) feelings are of utmost importance so don’t ever dismiss them out of hand. Ensure the parent knows they are being listened to. 3. Talk to the parents – communication with parents is always a good thing so ensure communication remains an open, two-way street. Find out what the child is like at home and what strategies the parents use to overcome anxieties. Also share what works within the setting. Ask lots of questions about what the child is like at home, their personality and their preferences (do this face to face and not in a written questionnaire). This will reassure parents that you have heard their concerns and will do your best to help. 4. Provide a visual aid of photographs of the setting and the key workers that parents can take home and share with the child before they start. 5. Have a designated key worker to greet the child every morning. Greet and talk directly to each child (even if they are crying) and parent as they arrive. 6. Help parents to establish a special goodbye routine. Educate the parent that trying to sneak out while the child is distracted is not the best thing for the child. Instead, children need a familiar routine to help decrease the anxiety. No matter what the routine, encourage the parent to use the same everyday, discourage prolonged goodbyes and try to ensure all parties stay calm. 7. 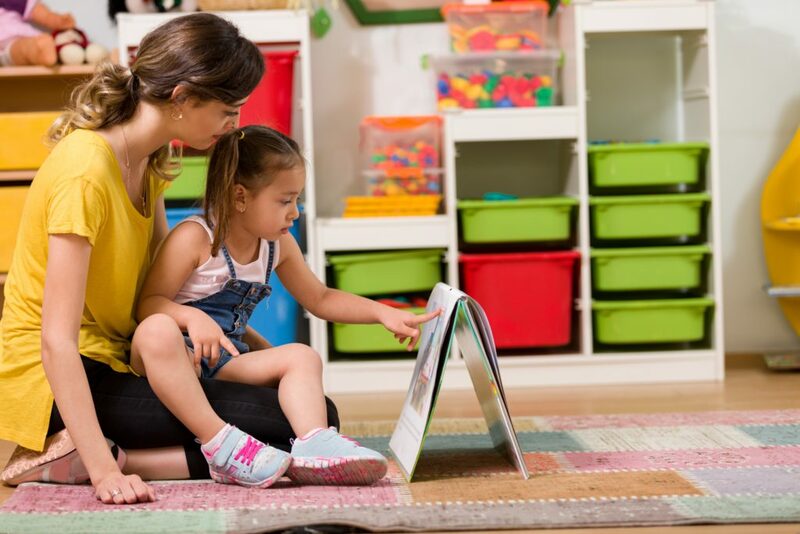 Distract an upset child with an interesting activity – picture books work well as a distraction. Have the child’s favourite book ready and begin engaging them with the book as soon as the parent leaves. It can also be helpful to use stories that explain that the parent will be returning. 8. An older child might be distracted by an art project. Encourage them to consider what things their parent likes and have art materials ready for them to create something for their parent. They will not only be distracted but also excited to surprise their parent with their finished artwork at the end of their session. 9. An older child could write about or draw pictures of their feelings. This will help them understand that they are sad as they miss their parents, but also that their parent will return. 10. Allow the child to have a familiar object from home. Over time, and as the child becomes more confident, encourage the child to leave this in their bag etc. 11. Ask parents to provide a small photo album from home with familiar people, pets and objects. This can provide a great source of comfort for the child, and can be used to make stories etc. 12. Take care not to reinforce the behaviour by labelling the child. For example, don’t say “don’t be shy” etc. and don’t pressure the child to speak in front of people they don’t know. 13. Gently encourage a nervous child to join in new activities without putting them under pressure. If they do join in, ensure you give them lots praise. 14. Always be honest with the parents. If the child has had a bad day then share this with the parent and explain what has happened to cause them to have a bad day. Use it as an opportunity to discuss with the parent how things can be made better. 15. Share your own experiences of when you felt shy or anxious. Children will often open up and talk about things when they feel someone can empathise. 16. Instil “playground etiquette” in the children, such as taking turns, introducing themselves, asking if they can join in and resilience. 17. Encourage children with similar personalities to befriend one another. 18. Ask parents to share their experiences with one another. If you have a new parent starting who is particularly anxious, is there a parent who has now been at the setting for a while who was in the same situation at the start but now both they and their child are settled? Would they share their experiences with the new parents? 19. Potentially be more flexible and allow for parts of the day to be child-led rather than staff-led. This will comfort children who would like to do a particular activity in order to soothe or comfort themselves. 20. Where possible, mimic the child’s routine from home. Use baby carriers or slings for the youngest children and make them feel comforted and secure. Bright Beginnings Day Nursery in Twickenham joined forces with a photo printing company to decorate the walls with pictures of the children’s families in a bid to boost children’s wellbeing and reduce separation anxiety. 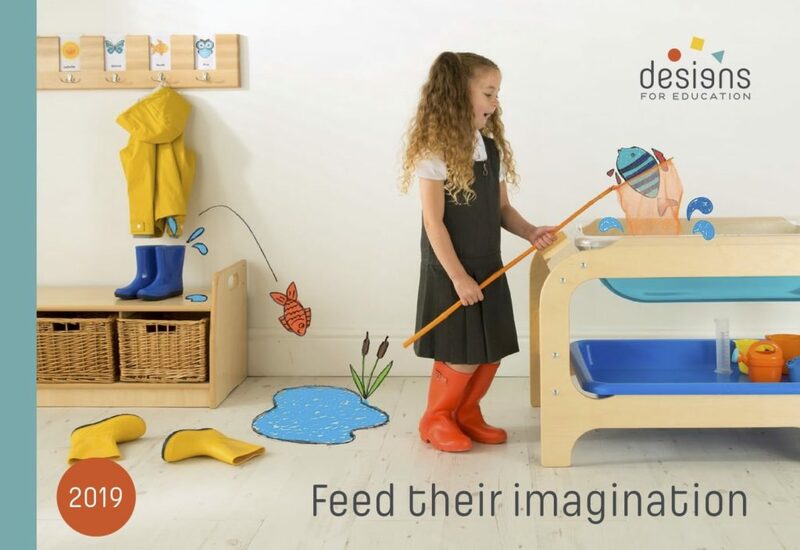 Educational psychologist, Kairen Cullen, added that she believes that by using “photographs in an early years setting, staff are helping youngsters to keep their parents ‘in mind’ and using the highly effective tool of visual stimuli”. What are your top tips for helping children and parents handle their emotions during the first few days/weeks? Head over to our Facebook page and share your stories and tips with the Designs for Education community.